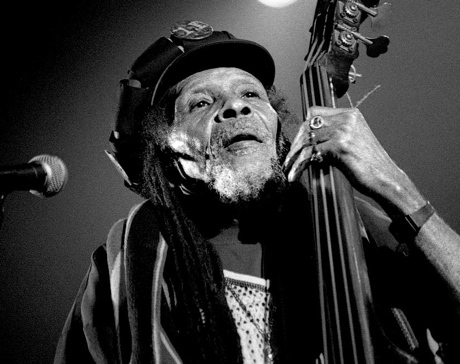 Lloyd Brevett, founding bassist of legendary ska outfit the Skatalites, passed away earlier this morning (May 3) at Andrews Memorial Hospital in St. Andrew, Jamaica at the age of 80. Billboard reports that the musician had been in the hospital receiving treatment following a stroke and a series of seizures. A recent report from the Jamaica Observer newspaper found close friend and former Columbia Records A&R person Maxine Stowe explaining that Brevett's health had deteriorated considerably in recent months following the fatal February 26 shooting of his son Okeene near Brevett's home in the Seaview Gardens area of St. Andrew. Okeene was returning home after accepting an award on his father's behalf from the Jamaican recording Industry Association. Brevett helped found the original lineup of the Skatalites in 1963, and the ten-person roster stayed together for 18 months. While they acted as a backup band on several pioneering ska recordings, the group also recorded a number of notable instrumentals on their own, including "Guns of Navarone" and "Eastern Standard Time." Beyond his tenure as the group's upright bassist, Brevett also produced two Skatalites albums, 1975's African Roots and 1976's The Legendary Skatalites. The musician was honoured several times throughout his career, having been bestowed Jamaica's Order of Distinction in October 2001 and the Silver Musgrave Medal for his contribution to music in October 2010. The news of Brevett's passing comes just shy of a year after drummer Lloyd Knibb died, also at the age of 80. While the Skatalites still exist in an altered line up, Brevett's passing leaves saxophonist Lester Sterling the only surviving member of the original group. Brevett is survived by his wife Ruth.